Single Story Charming Home! Inviting Curb Appeal Has Newer White Vinyl Fence & Very Low Maintenance. Great Floor Plan With 3 Bedrooms, 2 Bathrooms, 1159 SF Of Living Space & 6, 270 SF Lot. Features Dark Hard Wood Floors, Plantation Shutters & Dual Pane Windows Throughout. Upgraded Kitchen With Bull Nose Granite Counter-tops, Stainless Steel Appliances, Recessed Lighting, Custom Cabinets & Breakfast Bar. Spacious Family Room & Dining Area. Good Size Rooms With Custom Paint, Plantation Shutters & Neutral Carpet. Bathroom Has Shower/Tub Combo & White Vanity. Master Bedroom & Bathroom Has Ceiling Fan, Pedestal Sink & Walk-In Shower. Additional Enclosed Patio Room & Two Car Garage. Appealing Backyard With Two Magnolia Trees, Sprinkler System, Shed & Dog Run. 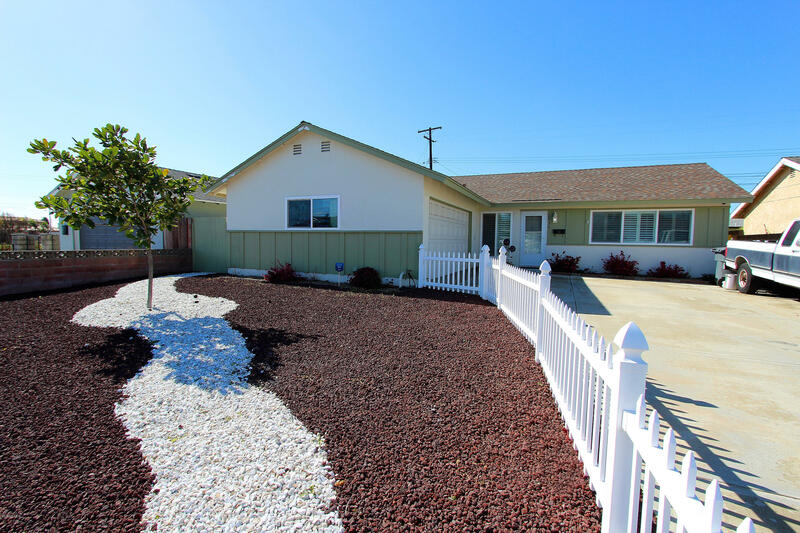 Conveniently Located Near The Base, Beach, Schools, Parks & Much More!